Thank you all in advance for taking the time to read my cousin's story. My cousin, Frida (pictured), has been living in the US for years now. 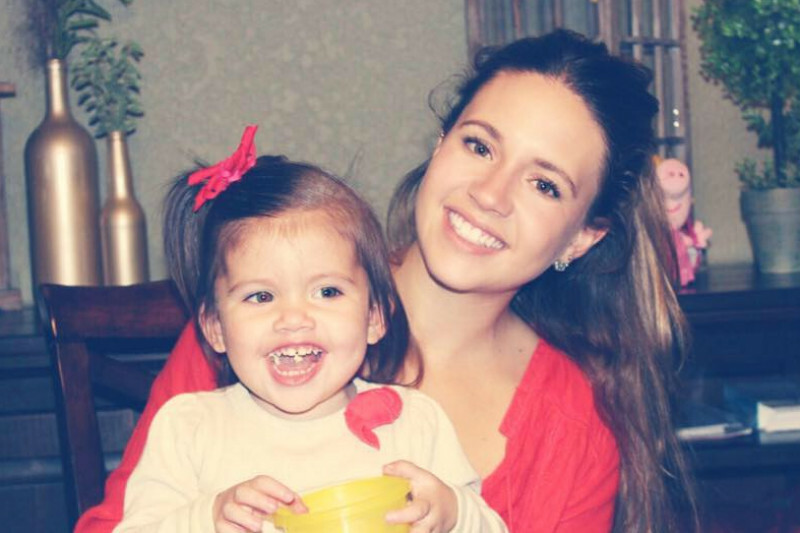 She attended college in San Antonio and has resided there with her family and daughter, Camila (also pictured). In the recent days, Frida took a weekend trip to Mexico for a wedding, expecting to return home the following Monday. Upon her arrival in the United States (after #MuslimBan was put in place), she was refused entry even though she had a legitimate visa and was not coming from any "banned" countries. She was told her visa would be revoked for 5 years and was forced to return to Mexico. Frida's whole life and everything she owns is here in Texas. Most importantly, her daughter is here and away from her mother. Through this campaign, our goal is to raise money for Frida's immigration attorney so she can restore her visa as well as to be able to send Camila to Mexico temporarily so she does not have to be away from her mom any longer. Any reasonable human being can agree that waiting 5 years for Frida to be reunited with her daughter will never be an acceptable option or solution. Frida is staying with family friends at the moment in Mexico but has nothing to her name and is trying to begin this process with very little financial assistance. I thank you all for taking the time to know her story and please, let's help this Momma and Daughter be together once again until her situation can be resolved properly. I want to start of by saying that my intention on this gofundme campaign has always been sincere and honest. Perhaps my situation is harder to explain and understand than I thought at the begining. But I will answer all of your comments because the last thing me and my family need at the moment are more problems to deal with. - I never abused my traveler's visa because January 23rd 2017 was the first time in 2017 that I tried entering the US. It was the 4th time in 2016 That I had used it. -"My whole life and everything I own is in Texas" I should have been more specific and detailed about it because all I truly own are clothes I have nothing to my name because I lived in San Antonio for 4 years with a student visa and was not allowed to work. "My whole life" yes, my daughter is there as well as my parents and siblings. - I found a job in Mexico City and worked here from August- November 2016 then went back to the US to figure out a way to be close to my daughter because as many of you know the job sitution in Mexico is not easy and it is even harder as a single mom with no family to help me here or owning anything. - I want to specify that as a tourist you are allowed a 6 month stay in the US the longest I have been in the US with my tourist visa was 7 weeks. - I do not have a job at the moment in Mexico and haven't had one since November . - I am not a Muslim and I am not claiming that my case has anything to do with it. - I have lived with my daughter since the day she was born so yes she is separated from me and the longest I have been without seeing her has been two weeks. - So again I will tell you what this account was created for. It was created so I can pay attorney fees to get my visa back tourist visa not to stay and live there but to be allowed to at least get my daughter and give her the freedom to visit her country worh her mom (me) I am also raising this money to be able to pay for all her relocation as I mentioned before I do not own anything and as a single mom starting from zero can be extremly difficult. I will answer all of your questions and comments gladly but I will ask you to please be polite. First I want to thank everyone with all my heart for the support Camila and I have recieved! Second, I want to encourge people that find the information misleading, confusing or having doubts about my situation to feel free to ask me anything ! Was I living in the U.S? Perhaps the reason she was denied a visa for 5 years is that she's clearly abusing the traveler's visa that she has! You state here that her "whole life and everything she owns is in Texas." This is not what a travel visa is for. She better hope ICE doesn't see this post that she is abusing her visa and trying to scam people too - she will never be let back in the US! Frida's latest update seems to me worded to mislead. Frida has deleted her comment from yesterday (probably because people stopped donating when they read that she actually lives and works in Mexico and her daughter lives with her parents in America). I wish I could post a screenshot of the comment but since I can't, I will post it here exactly as she wrote it; "I was in the US for 4 years on a student visa while I was attending college and went back to Mexico got a job and kept going back to visit my daughter on a tourist visa with no intention of staying there ilegaly!" If you want to donate to her cause, by all means do so, but this has NOTHING to do with #muslimban. This woman is not separated from her daughter because of Muslim ban. Her daughter lives in the US, she lives and works in Mexico. It is sad that she was denied her visit but asking for money to be reunited with her daughter she doesnt even live with and blaming it on #muslimban is a con. I dont understand. You do live in Mexico anyway, right? Then you just need to bring your daughter with you. Hi i don't understand did she has a green card ? She was resident? Or she was just here in texas with tourists visa? Amy is right - I just turned it into ICE and also to Gofund me. Frida - I've been talking to Lilianna and she told me you were no longer living in the US, that you had moved to Mexico after college and had found a job there. That you were now traveling to the US on a regular basis under a tourist visa to visit your daughter. This information was actually the same as what you had on a post in this comments section here. Why did you remove that post? And why are you not disclosing this information in your update? Your update makes it sound as if you were still living in the states. If you're asking people to give money to your cause, the last thing you want is for anyone to feel you're being misleading. I really want to help, because Lilianna is my friend, but I'm finding it very difficult to support a cause that has such a changing, and questionable story. I'm doubling my support because I appreciate your additional post to dispel doubts. Good luck.